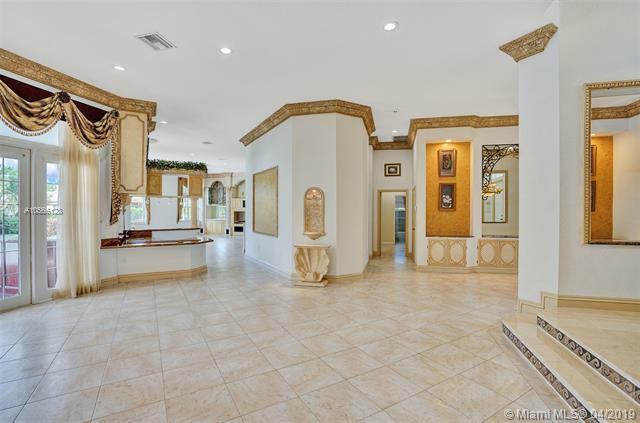 EXQUISITE ARCHITECTURAL DETAILS ABOUND IN THIS STUNNING 6-BDRM HOME. 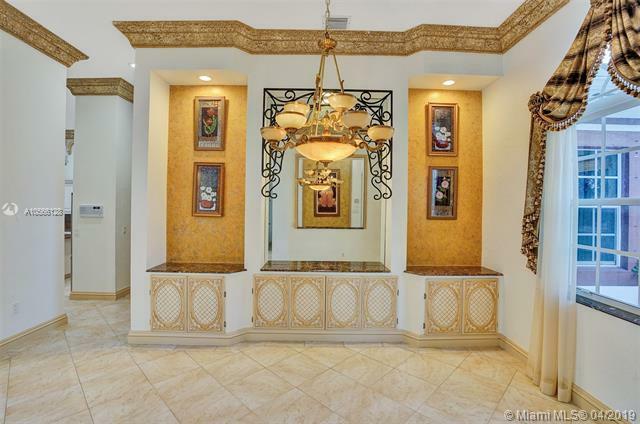 Grant foyer Entry, Granite Built-Ins Formal Dining Room, Extraordinary custom Wall to Wall Entertainment Center, Crown Molding Imported from Spain. 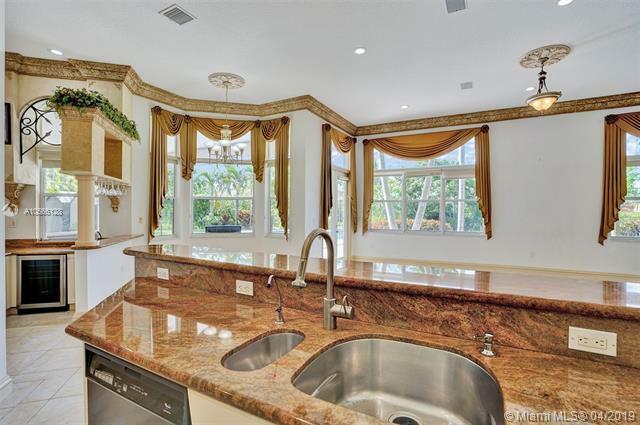 Large Granite Wet Bar, Wine Rack, Beautiful Kitchen with Double Oven, Preparation Island, Walk-In Shelved Pantry. Custom Built-in Office Room with Granite. 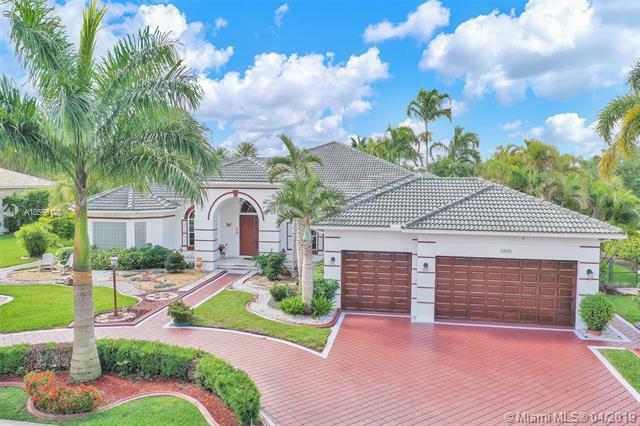 Master Suite Features Sitting Area, Tray Ceiling, Spa-Like Master Bath, Private Landscape around the large custom built pool &, Spa with Water jets & Bubbler. Newly Painted inside & Outside. Master bedroom has Italian design. Cameras all around the house. Internet enabled Garage Doors. Outside Large Kitchen with Marine wood. 3 New ACs. Award Winning Landscape. Walk-way all around the house. Fruit Trees all around the house. Listing courtesy of Atlantic Realty & Inv. Corp..